Met Engineers will assess the method of construction and state of repair of an existing building ahead of any planned refurbishment or maintenance. When looking to redevelop or change the use of an existing building, it is important to understand how the building works in terms of its structure to ensure any proposed changes can be properly assessed. 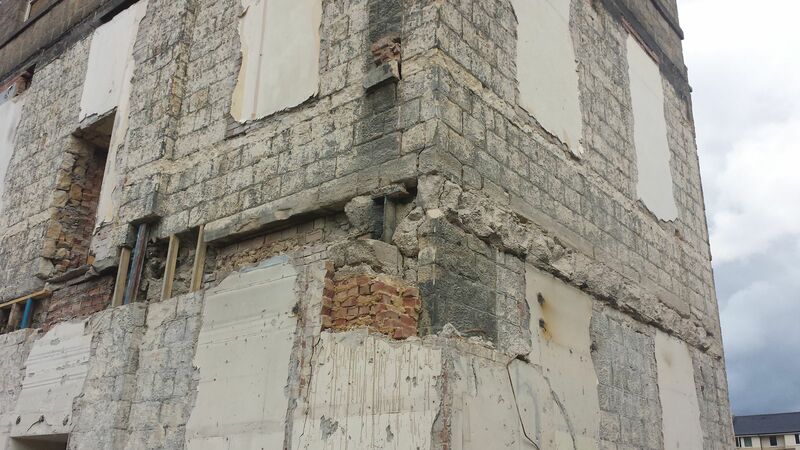 Met Engineers regularly undertake such investigations to identify the key structural elements of the building. The building structure is often hidden from view and a variety of techniques such as intrusive investigations, non-intrusive techniques or even inspection within confined spaces can be employed to identify the nature of the building. The state of repair of the building can also be of concern where damage has been caused by; settlement, flood, weathering or rot. Based on our observations we make recommendations for works necessary to allow the development proposal to progress. Met have always been a leading company providing measured building surveys and this is still a major source of our work. New equipment and techniques keep us constantly monitoring and evaluating our processes and training to stay ahead and ensure we offer the best and most cost effective solutions for you. Our team of structural engineers work in tandem with our building surveyors to identify and accurately measure structural elements within the fabric of a building. Our skilled engineers work to industry standards such as BS5930 and PAS128, and best practice guidelines from The Survey Association and English Heritage. The engineering team works with geophysics team to design non-intrusive investigations for a wide range of applications. We provide non-intrusive geophysical surveys, archaeological geophysics and utility mapping solutions to support engineering and other projects in the private and public sectors. In some instances, a visual inspection is required within a difficult to access environment where Health & Safety regulations requires a confined space team. Our structural Engineers are confined space trained and can accompany our surveyors and geophysicists to offer a confined space team with a very wide skill base.